2017-02-14 16:00:00 2017-02-14 18:00:00 Asia/Kolkata LOVE: Feelings or Fantasy??? 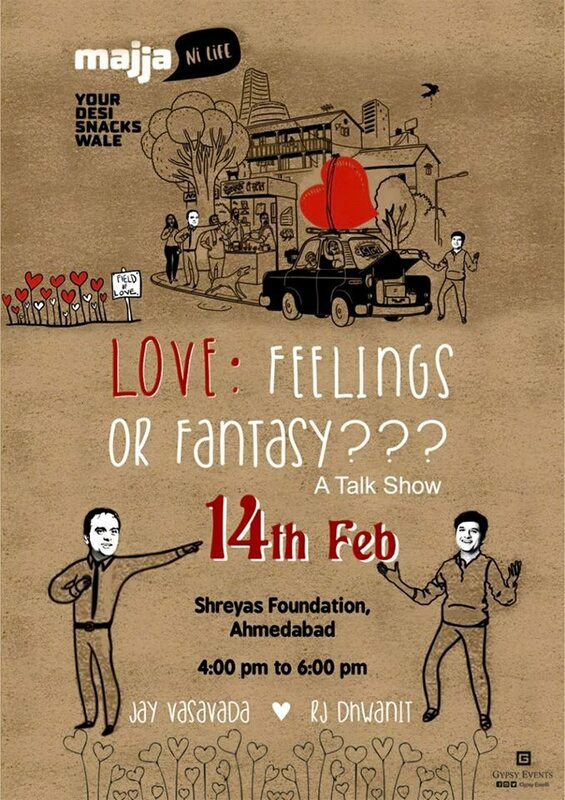 A Talk Show on “Love: Feelings or Fantasy?” by Jay Vasavada, RJ Dhvanit and Bhumika Trivedi, identifying the Love, understanding the feelings and briefing the fantasy on this valentines’ day followed by the Majja Food ! !